WHAT IF YOU OWNED A REAL ESTATE RENTAL PROPERTY AND DIDN’T KNOW IT? Have you ever received those emails that state there is unclaimed money is the state treasury and some could be yours? 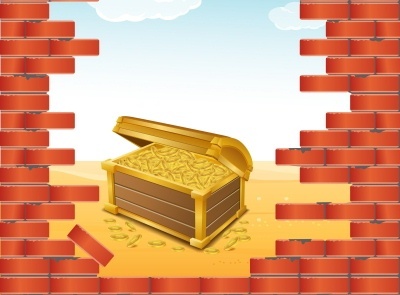 Then you go to the site to see if a bank turned in deposits from a closed account or there was an unclaimed tax return but sadly, there is no lost treasure in your name. However, you may actually own a great real estate investment and not know it. That property? Your current home. I speak with folks all the time who want to get into real estate investing but are delaying their investment plans because they want to buy a larger home for the family. Well, many folks can do both by keeping the current home as an investment and buying a new home for the family. While not for everyone, there are many advantages to this strategy. I think back to one young man I met early in my career who accumulated 3 investment properties over a period of 6 years or so. He would buy a condo he liked, live in it for a year or two, buy a another condo for a personal residence and keep the prior one as a rental. He developed quite a nice real estate portfolio safely and wisely. While most people don’t want to move that frequently, the concept can work even on a smaller scale. 1) The interest rate on the investment property (your current home) will likely be lower than the rate you would get on the street. First rates have gone up a bit in the last few months so, if you refinanced your current home over the last few years, you are probably at or below today’s investor rates. And, second, investor rates are 1/2 point higher than owner occupied rates making it more likely your current rate is better. 2) You know the condition of the property. Whenever you buy a property, investment or otherwise, despite inspections, you never know all of the little idiosyncrasies of a property. With your own home, you surely do. 3) If you don’t like being a landlord, you can still sell without capital gains if you do it quickly. As long you can state that you lived in the home 2 out of the last 5 years, you can exclude $250,000 of gain (if single) or $500,000 of gain (if married) from capital gains. So, many folks try landlording for a year or two and if they don’t like it, they sell in the 3rd year before the clock runs out. After 3 years of being a landlord, you are in and the only way to avoid capital gains on a sale is to defer them through a 1031 exchange or die and I much prefer the former. With proper planning, you can get equity out of your home before starting the whole process by either doing a cash out refinance (not my preference) or getting a home equity line (my preference). I prefer the home equity line because you only draw out the money if you decide to proceed on purchasing a new principal residence. It will be impossible or extremely hard to get a home equity line on the home if you have it for rent or actually have it rented. That must be done before the process starts. I WON’T QUALIFY CARRYING TWO HOMES. I fully believe that real estate should be part of any well rounded investment portfolio. However, it is important to remember it is illiquid. If things are too tight on a debt ratio or there are not adequate reserves for property repairs or the financial surprises life brings, it may be best to wait. On the other hand, I can not tell you how many past clients have said they wish they still had their first condo or townhome as an investment. Something to think about. I am a certified investment agent specialist and truly enjoy helping people use real estate to achieve their financial goals. If you have thought of investing, give me a call.